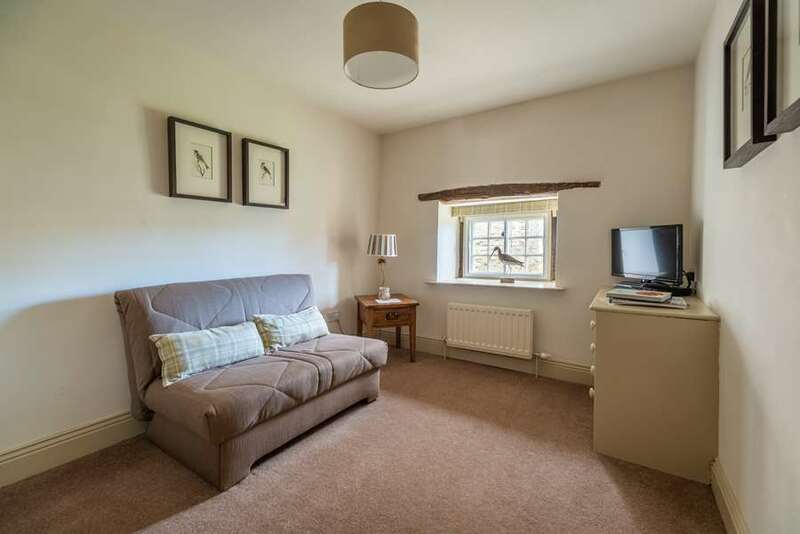 There are two rooms in this charming 17th century cottage that is just around the corner from the main house (approx. 30 metres) and looks over the green to the magnificent Saxon church. It has a country-contemporary feel to the decor but oozes character with big ceiling beams, exposed stone walls and plenty of opportunities to bang your head! The ground floor of Monk's Cottage offers another comfortable resident's lounge and a 'boot room' to clean and store your muddy walking kit! 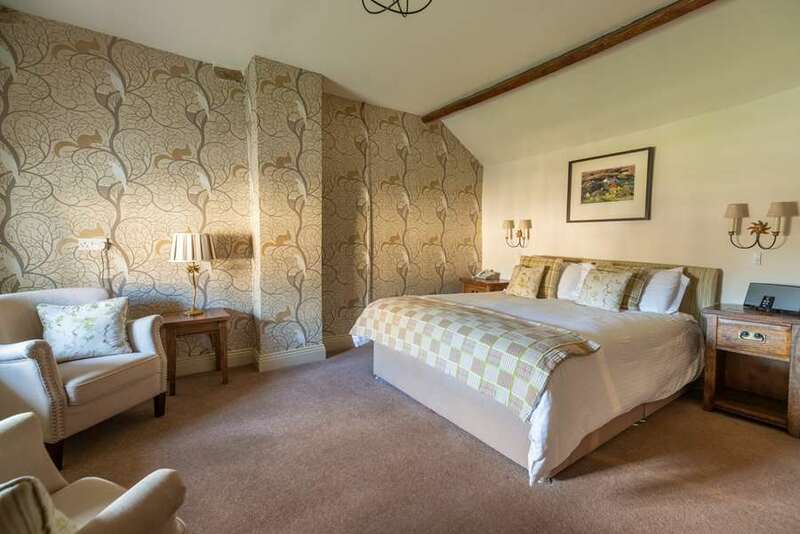 A first floor superior double room with a 'snooky' little window looking out to the church, a spacious walk-in dressing room and an ensuite bathroom with bath & shower. 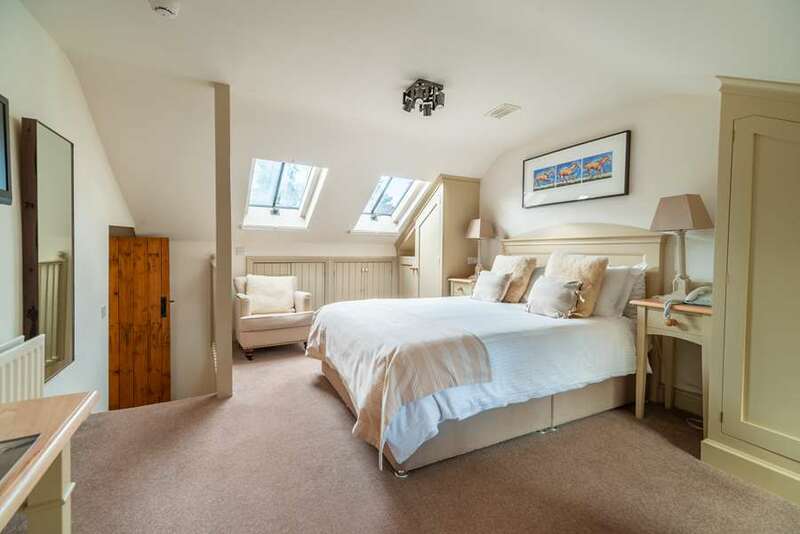 A spacious first floor double suite that has its own entrance passage, a sitting room with sofa bed suitable for children and an attractive bedroom with sloping ceiling and skylights. The bathroom has a bath & shower. Book online here for the best rates anywhere!